Pink and yellow are such happy colors. 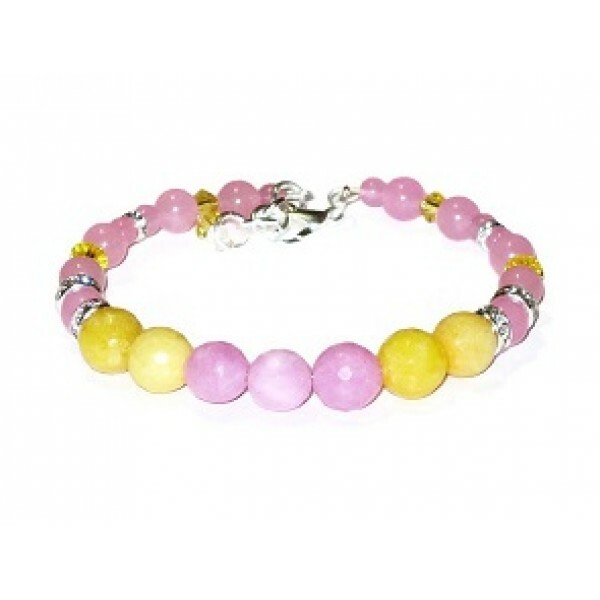 This bracelet is made on expandable wire and consists of Swarovski crystals, silvertone rhinestone rondelles, faceted and smooth round jade beads. It has a silver-plated lobster clasp and an extender that allows it to be extended from 6 1/2 to 7 1/2 inches.